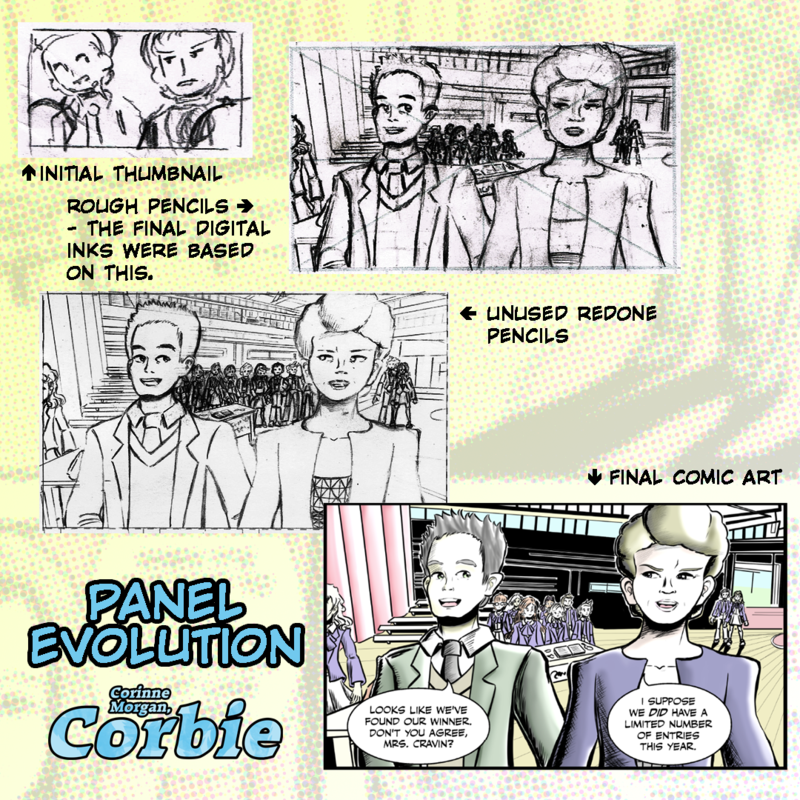 A glimpse into what goes into the creation of a single panel of Corbie! Or at least, what did - things have changed a bit since this art for page 1 of the first issue was drawn. Thumbnail stage came first - it was just a very crude pencil doodle to figure out how elements would flow on the page. Finished pencils are also shown here, alongside a redrawn panel that was never used. Finally, a digitally inked version of the panel was drawn in Clip Studio Paint and coloured.